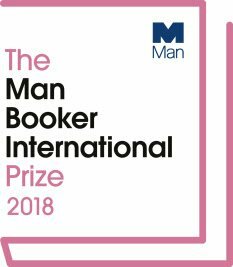 I like to follow the Republic of Consciousness Prize for Small Presses, because I’m interested in the kind of fiction it stands for, and it’s good for highlighting worthwhile books that I might otherwise miss. Sue Rainsford’s debut novel, from the Irish publisher New Island Books, is one of those. It caught my interest on this year’s Republic of Consciousness longlist, and when I saw Daniel Davis Wood of Splice compare it on Twitter to The Man Who Stole Attila’s Horse by Ivan Répila, that was enough to convince me to read Follow Me to Ground. There were nights when he’d let his spine loosen and go running on all fours through the woods, leaving sense and speech behind. Claudia Levine arrived at noon and I sang her belly open, sang her sickness away – tricked it into a little bowl under the table. Closed her up again, woke her up again. Told her she’d be sore in the morning, waved her away down the drive, poured her sickness down the drain. The way Ada describes herself and Father, we never get a firm handle on exactly what they are or what they do. The net effect of this is to create a sense of mystery at the novel’s heart which gnaws away at the reader. I once read an annoying story by China Miéville about magical playing cards, which essentially used evocative names (such as “the Four of Chimneys”) in lieu of revealing anything concrete about what these cards actually did. This technique didn’t work for me, because it just highlighted how arbitrary the whole thing was – to me, there was simply nothing behind the names. I find that Rainsford’s approach works much better: she reveals enough of Ada’s world to catch the imagination, but not so much as to much as to define it. The mystery remains alive. Ada is in love with a Cure named Samson, and her relationship with him becomes central to Follow Me to Ground. She grows increasingly possessive of him, in the face of disapproval from both Father and Olivia, Samson’s sister. Here is where the novel’s approach really comes into its own, because the obsession gnawing away at Ada mirrors the reader’s sense of ungraspable strangeness. And (without wishing to say too much) the matter of what ultimately happens is driven by that same sense of unresolved mystery. I’m glad to have found Follow Me to Ground through the Republic of Consciousness Prize; I’ll be looking out for more of Sue Rainsford’s work, too. 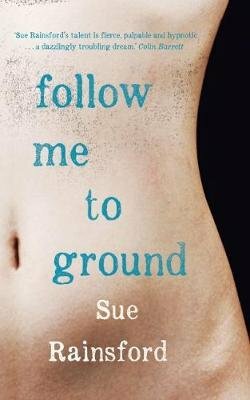 Follow Me to Ground (2018) by Sue Rainsford, New Island Books, 204 pages, hardback (source: personal copy). The Little Snake is a novella inspired by Saint-Exupéry’s The Little Prince (which,for context, I haven’t read). It was first published in Germany a couple of years ago, and now has a UK edition courtesy of Canongate. It’s also my first time reading A.L. Kennedy. One day, a girl named Mary meets Lanmo, a handsome talking snake who becomes her best friend. Mary is the first human Lanmo has befriended: normally he travels the world ushering humans out of their lives. The snake visits Mary at various points in her life, seeing that her city is increasingly ravaged by war and that she is in ever greater danger. For the first time, Lanmo starts to have feelings about what he does; in particular, he wants to ensure Mary’s safety, though he knows the time will come when they must part. 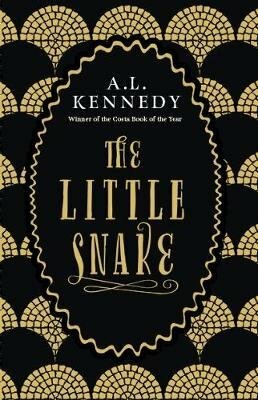 The Little Snake is written as a fable, and Kennedy’s prose has a wonderful ‘tale for all ages’ quality. It’s a tale of losing and finding one’s place, what we lose and what there is to treasure. The Little Snake (2016) by A.L. Kennedy, Canongate Books, 132 pages, hardback (source: review copy). Guy Bolton’s debut novel is a murder mystery set in Hollywood in 1939. Herbert Stanley, a producer on The Wizard of Oz, is found hanged: the case is assigned to Detective Jonathan Craine, the police force’s regular fixer when it comes to MGM matters. Craine’s job is to ensure that Stanley’s death is treated as an open-and-shut case of suicide, this being the least disruptive option for the studio. However, things soon get complicated: Craine becomes romantically involved with Stanley’s widow, actress Gale Goodwin; and there are distinct signs of foul play about the apparent hanging. As Craine digs deeper, events spiral out to encompass organised crime; there are some gripping set pieces along the way. Crane’s development as a character is also engaging: he starts off as a pretty repugnant sort who has no qualms about pinning an (apparently unrelated) murder on a scapegoat, and becomes – if not entirely sympathetic – at least more thoughtful and scrupulous. I enjoyed The Pictures, and I’ll be reading its sequel, The Syndicate, in due course. 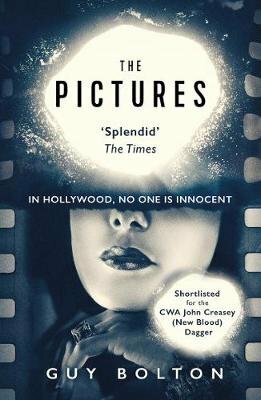 The Pictures (2017) by Guy Bolton, Point Blank, 400 pages, paperback (source: review copy). 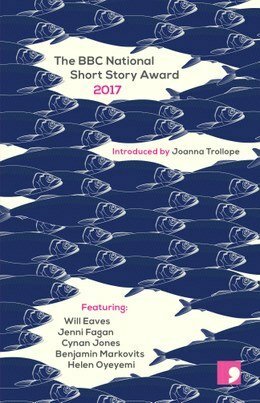 This post is part of a series on the 2017 BBC National Short Story Award. It fascinates me how vastly different styles of writing can draw me in equally effectively. Will Eaves’s piece was fragmented and formal; Jenni Fagan’s is rolling, with a gossamer touch. Both embody what they want to tell superbly. We join Fagan’s protagonist, Jessie, as she makes precautions to ensure that her newly-deceased father’s soul will not return to the house. This is an old tradition carried on into the present day; contemporary details puncture the narrative, destabilising its folktale-like tone. All the women on Jessie’s Hebridean island, except her, became selkies at the age of twelve; but she is about to undergo a transformation of her own. None of this feels in any way out of place: Fagan maintains that measured tone, and the story unfurls as she goes. Listen to a reading of ‘The Waken’. I haven’t been posting links to my external reviews lately, so here’s a round-up of the most recent four: all books that are worth your time. The Winterlings by Cristina Sánchez-Andrade (tr. Samuel Rutter). Twenty-five years after being evacuated to England, two sisters return to the Galician parish of their childhood. The place is otherworldly to them, but they also have a glamour of their own – and so mystery encroaches on the reader from all sides. Reviewed for European Literature Network. 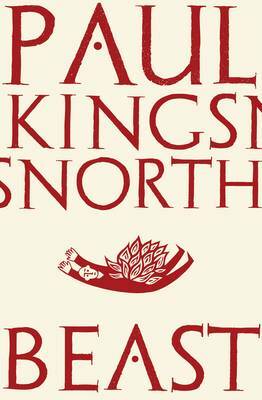 Beast by Paul Kingsnorth. Second part of the thematic trilogy that began with The Wake. 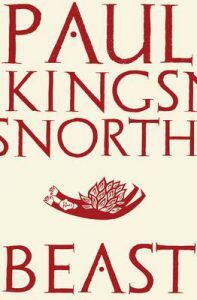 This volume is set in the present day, and focuses on an Englishman in search of his place in the landscape. A strange creature haunts the corner of his eye, and his language grows more primal as he heads further into hallucination. Reviewed for Shiny New Books. The Deep Sea Diver’s Syndrome by Serge Brussolo (tr. Edward Gauvin). A tantalising slice of weirdness set in a reality where art is retrieved from the depths of dreams. One man believes that the dream realm has its own objective existence – and he’ll risk his very self to prove it. Reviewed for Strange Horizons. The Tobacconist by Robert Seethaler (tr. Charlotte Collins). 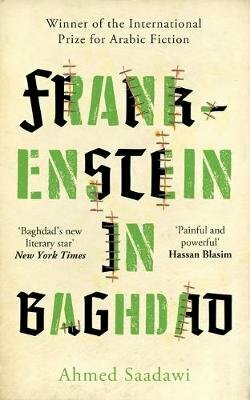 A new novel in English from the author of A Whole Life. The tale of a young man who becomes a tobacconist’s apprentice in 1930s Vienna and strikes up a friendship with Sigmund Freud. Love begins to stir, just as the shadow of the Nazis grows. Reviewed for European Literature Network. The narrator of Peter Verhelst’s The Man I Became used to live in the trees, until he and other members of his family were captured and taken to the ‘New World’. There, they were taught to speak, made to dress like humans, and set to work in a theme park named Dreamland. There’s no proper rationale for all this, nor does there need to be: we’re dealing with a timeless space in which this can happen, and the matter-of-fact tone in David Colmer’s translation sells it completely. 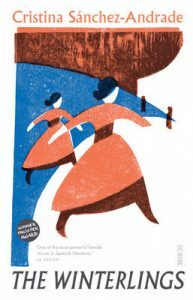 It’s tempting to try to read Verhelst’s novel as an allegory, and there are certainly some scenes that lend themselves to a real-world interpretation, such as the image of gorillas roped together in a forced march across the desert. Ultimately, though, I think The Man I Became has to be taken on its own terms, because it creates its own reality so fully. For me, the key question raised by the book is: what does it mean to be human, exactly? The animals taken to Dreamland are given different D-shaped pins to wear depending on their rank, and “people with two gold Ds pinned to their chests were fully fledged humans.” So, if humanity can be granted with the gift of a badge, what does it really mean? This is where the ‘end of innocence’ comes in, as Verhelst’s narrator realises the truth about Dreamland, and has to decide what kind of person he wants to be. 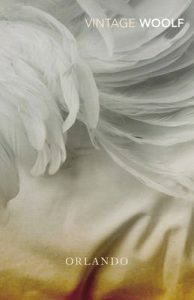 The Man I Became is an intriguing start to Peirene’s Fairy Tale series, one that left me wondering what would come next. We’ll find out in a few days’ time. 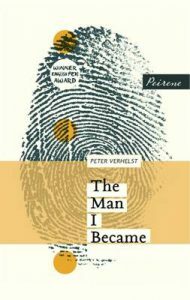 The Man I Became (2013) by Peter Verhelst, tr. David Colmer (2016), Peirene Press paperback. The winner of the Goldsmiths Prize 2016 will be announced this Wednesday, so hera is my second round-up of the shortlist (the first is here). Unfortunately, I ran out of time to review Rachel Cusk’s Transit, which leaves two others: first-time Goldsmiths appearances for small publishers Tramp Press and Cassava Republic. 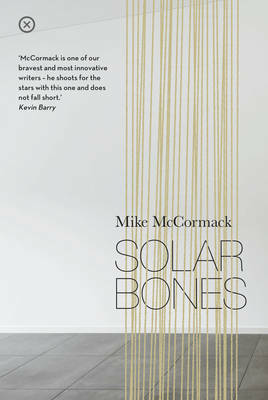 If you look Solar Bones up, be warned that the blurb contains a piece of information which is not stated explicitly within the novel until the end (though it can be deduced). It’s not really set up to be a twist as such, and I think that knowing it would change your experience of reading the book rather than spoil it per se… but I don’t need to reveal it here, so I won’t. This is Marcus Conway’s voice: no capital letters or full stops –therefore no strict separation of ideas – and ‘paragraphs’ linked by those chains of sentence-fragments in an unceasing flow. Whether he’s discussing his memories, the economy, or the bones of reality itself, all is part of the same whole for Marcus. 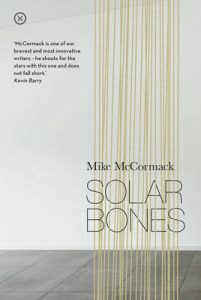 As an engineer, he is able to see the workings and connections – and McCormack brings this to life within the form of his novel. A few years ago, I read Roelof Bakker’s anthology Still, a book of short stories inspired by his photographs of a vacated building. It included ‘Morayo’, a story about an old woman going into a nursing home, and what her books meant to her as a person. In a Q&A at the time, Manyika said she was working on a book-length version of the story. I always wondered what that was going to be like; and now here it is, on the Goldmsiths shortlist. 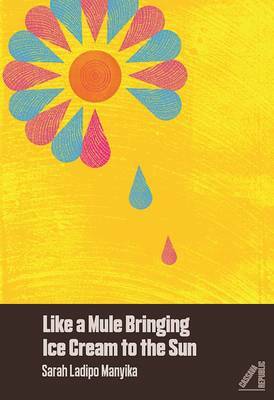 Manyika’s novel is not a direct expansion of the story, but the main character and themes are broadly the same. Morayo Da Silva is a retired literature professor, from Nigeria and now living in San Francisco. She still lives life to the full, enjoys her vintage Porsche, her books, and generally being around the neighbourhood… until she slips one day, and breaks her hip. Then she has to go into a nursing home to recover, and her old life is torn from her. One of the central themes of Like a Mule for me is the idea that the person someone is on the inside may not necessarily be the person that others see. Morayo is such an exuberant character to us – a joy to spend time with on the page – but, as far as many of the staff in the home are concerned, she’s just another patient. There’s one scene where Morayo daydreams of a glamorous function from her old life married to an ambassador – a dream which is broken when the home staff rush to her aid because she’s left her walker behind. In Goldsmiths Prize terms, I’d say that Like a Mule distorts the novel form primarily with its use of voice. Besides Morayo, there are chapters written from the viewpoint of several of the other characters she meets: a homeless woman, a shopkeeper, a cook in the nursing home. True, there’s nothing intrinsically unusual about that; but it’s done here in a way that feels disjointed, underlining the distance between individuals. Reading the novel allows us to bridge that distance to an extent, as we can fit the pieces together; and maybe that helps bring a sense of hope, too. Time for another post on #Woolfalong, Heavenali’s year-long celebration of Virginia Woolf, who was a new writer to me at the start of 2016 and is fast becoming a favourite. The theme for July and August is ‘biography’; Orlando is included as an option, despite really being a novel – and I had a copy on my shelves, so that was what I went for. I’m not going to try to encompass everything I could say about Orlando in this post. I just want to pick out a couple of things that have most struck me. The first has to do with the book’s subtitle: ‘A Biography’. Chances are you will know the premise, but just in case you don’t: Orlando narrates the story of a young nobleman who becomes a favourite of Elizabeth I, then ambassador to Constantinople, where he transforms into a woman; she then lives on into the 20th century, without visibly ageing. The novel is framed as a biography, and is written in the style of one. But I started to realise that there’s more to it than this – the biographical form is fundamental to what Orlando is. It’s another example of how Woolf uses writing to create alternatives to geographical space in her fiction. 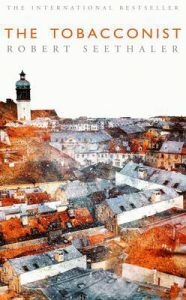 I first came across this in Mrs Dalloway, which places its characters within a landscape of consciousness: most of the key events occur at the level of thought and perception, but the way the book is written puts these on the same level as events that take place in physical streets and houses. In the case of Orlando, Woolf creates a landscape of time. This is where the biography form is key, because the point of historical biography is that the individual is a subject is a fixed point, and the rest of history happens around them. Orlando is an individual who moves through time like others move through space, and the prose is elastic enough to facilitate that: months or years may pass in a few lines, but Orlando is always there and the book will reorient around her. 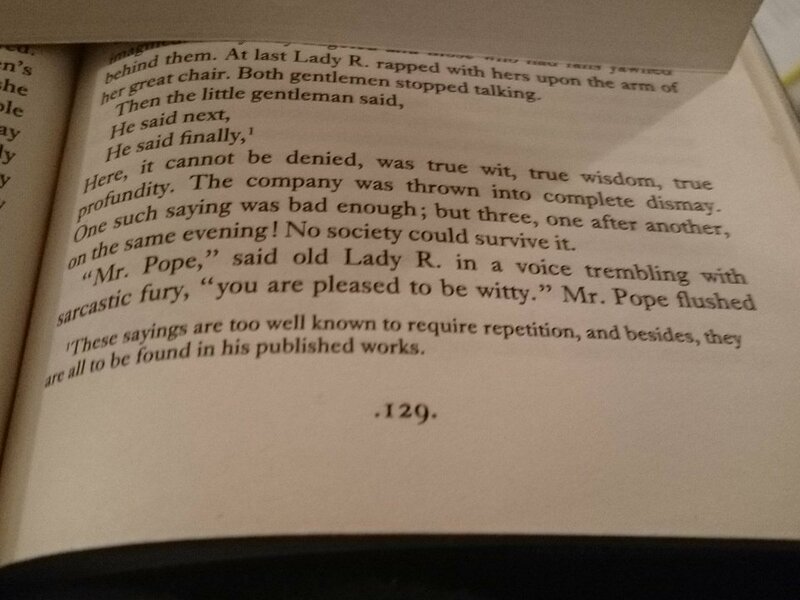 This is what gives the experience of reading Orlando such a feeling of openness. I’m not exactly unfamiliar with the idea of fiction reminding me that it’s fiction, but I’ve rarely seen it done with Woolf’s lightness of touch (and Orlando predates most of the other examples that I’ve read). It’s as though she’s stretching the reality of her text a little too far, just for a short time – a toy to be picked up and discarded again. With my last couple of #Woolfalong reads, I wasn’t quite as taken as with Mrs Dalloway; but now I’m right back up there, and eager to read more Woolf. 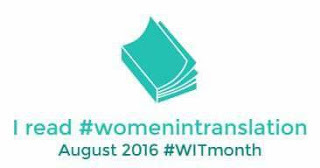 August is Women in Translation Month, a project started by Meytal of Biblibio, and now in its third year. I haven’t had as much time for reading and blogging this month as I’d wanted (though I still hope to be able to squeeze in a relevant post or two). However, I have been recommending a book each day on Twitter and Facebook, so do feel free to pop over and take a look. I also have a review of a book by a woman in translation in the August issue of Shiny New Books. 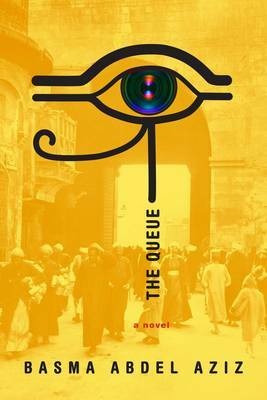 The Queue by Egyptian author Basma Abdel Aziz (translated from the Arabic by Elisabeth Jaquette) is the story of a Middle Eastern city where everything needs a permit, and society has rearranged itself around one big queue. The novel is absurd, but also chilling as it reveals just how much of a hold the authorities have. Read my review of The Queue here. 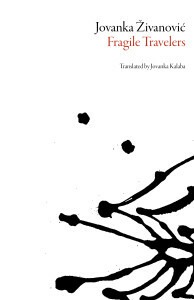 I’ve reviewed a Serbian novel for Euro Lit Network this month: Jovanka Živanović’s Fragile Travelers, translated by Jovanka Kalaba and published by Dalkey Archive. It is the story of a man who disappears from the real world and finds himself lost in the dreams of a woman he knows. 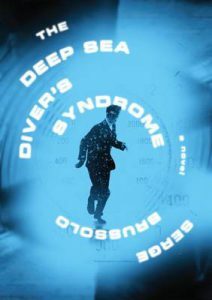 There’s an interesting mix of twisting sentences, absurd imagery, and a sense of the characters’ disconnection from the world. Find out more by reading my review.